How to ensure the safety of all? At DOOKE, we deploy a structured and rigorous operational approach. Security is a prerequisite for your activities. Without it, we can not operate. So is the reliability and durability of your company and especially the safety of your employees. This is why at DOOKE the knowledge of industrial risks and the rigorous and systematic application of safety rules are crucial. They are the basis of our safety approach and condition the achievement of our goal: to be recognized as the referent and partner of your security. The periodic inspection and verification of the lifelines and anchoring devices is recommended by the CNAMTS R430 and article R4224-17 of the Labor Code. The minimum periodicity of visits is 1 year. It can be increased in case of specific environmental constraints. 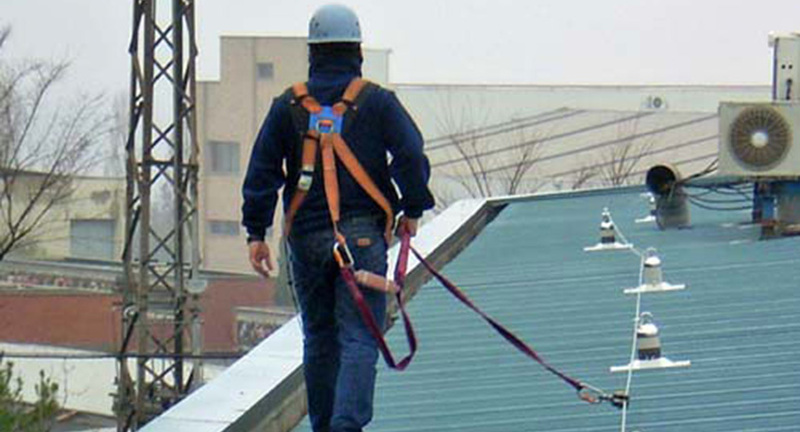 Check and control of fall protection net, ladders, gratings, cladding, metal frame, lifting equipment are also perfectly in our ropes.